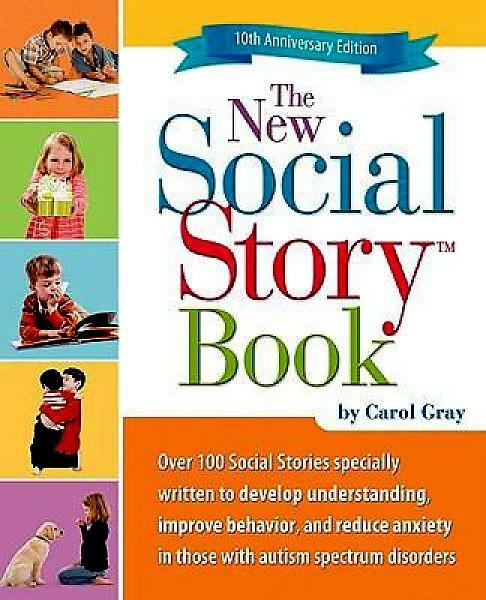 Contains a revised and expanded 10th Anniversary Edition of The New Social Story Book by Carol Gray. The book contains 158 Social Stories to help children and adolescents with autism spectrum disorders (ASD). Also contains a CD containing each Social Story in ready-to-print PDFs and Word files which can be edited. The Stories are divided into chapters according to subject matter such as change, mistakes, me and my feelings, celebrations and gifts, bullying, home and community, school, planet earth. Some of the stories are designed to be used in groups, in sequence. The beginning section entitled, "Social Story 10.1 Tutorials" is an introductory guide to writing Social Stories using the ten criteria that distinguish Social Stories from other visual strategies. Social Stories are intended to share accurate information using a process, format, voice, and content that is descriptive, meaningful, and safe for the audience (person with an ASD). Contents: book and CD-ROM. Two-week loan period.